Today’s parable comes from Luke’s Gospel: Luke 15:11–32. I’m pretty sure that you have either read this parable, studied it in a Bible study or heard it preached on Sunday morning. Typically, the focus falls on the younger son, the one who demanded his inheritance and then squandered it…finally returning home. A homecoming after a home-leaving. There is disrespect and offensive behavior by the younger son, yet, there is great joy in his return and it overshadows, even hides, the grief of his leaving. Except, on the part of the older brother. Ahh yes, the older son who on the outside seems faultless right? He was hardworking, law-abiding…obedient. The model son on the outside. But, when faced with the joy of his father toward his younger brother, what is on the inside flows to the surface like lava in a volcano: self-righteousness, jealousy, selfishness. This brother does not share in the joy of return. Sermons on the older brother are far and few between. Jesus was pointing to the Pharisees and teachers of the law who were self-righteous and angry when sinners were welcomed by Jesus. After all, the Pharisees, were law-abiding and obedient…devoted followers of God. As one seminary professor said – the older son is rarely preached because it brings a spotlight on the Church today. 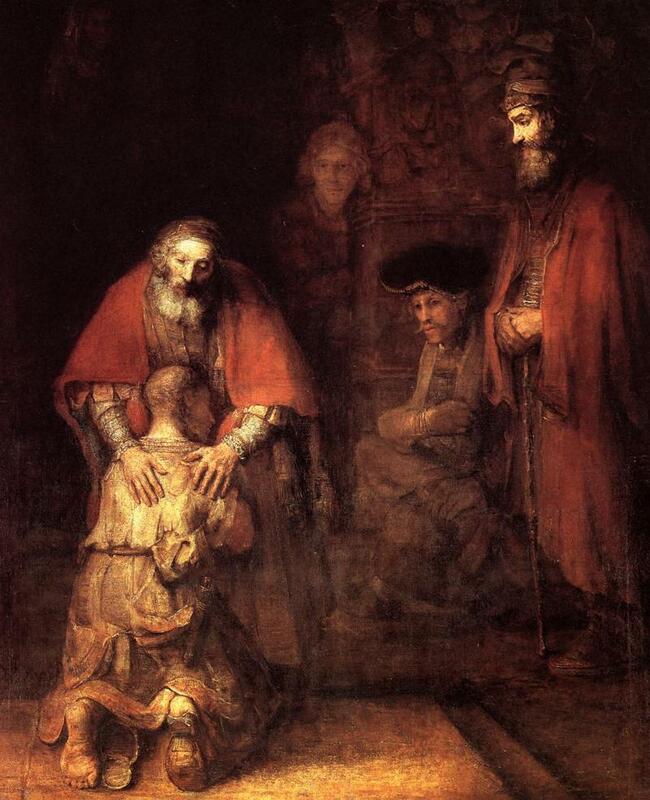 Look at the painting below by Rembrandt…the focal point is the hands of the father. Chapter 15 of Luke starts with the Pharisees and Sribes bickering about how Jesus was spending His day teaching tax collectors and “sinners.” They can’t believe that He is wasting his time with these people, who apparently are outside the acceptance of God’s glory because of their lifestyle. I mean, come on, the tax collectors who cheat the people out on a regular basis? What are you doing with them? The sinners? We don’t know exactly what their crimes against God were, but let’s assume that they were adulterers, murderers, and other social outcasts. In my research, what I found is that we never find out who exactly they are, but that they were always set opposite of the righteous. And since the Pharisees set a high precedent of how Jewish people followed The Law, anyone who lived outside of The Law would probably have been sinners. So Jesus responds to the grumbling and complaining of the Pharisees and Scribes by telling some parables. One is the lost sheep, which someone else will write about. Another is the lost coin. Let’s look at that one more. The woman loses 1 of her 10 coins and rather than just forgetting about it, searches frantically for it, and when she finds it, sends text messages to all of her friends and posts it to social media to celebrate that she has found what she had once lost. So, first, let’s look at why one coin would be such a big deal. I mean, do any of you get frantic when you lose a quarter? I’m guessing a quick search to see if you can find it, and then just an “oh well” for most of you (and me). But she lost 1 of 10 coins, or 10% of all that she owned. Now that is more significant. Also, as I looked more into this, it is likely that the coin was part of her dowry. A dowry is the gift that a woman brought to her husband as a gift on the day of their marriage. And she probably wore the coins on a necklace. To lose one would be like losing one of your most prized wedding gifts, maybe like losing your wedding or engagement ring. Tell me you wouldn’t search frantically for that and rejoice when you found it! So what Jesus is saying is that, like any of us who would rejoice when we find a lost or misplaced prized possession, God rejoices when even just one person repents and comes back to Him. A huge party is held in His kingdom every time someone comes back to Him. This is why we, as Christians, in my humble opinion, need to spend more time just being kind to people. As I have been in many discussions on social media lately about different social and political topics, I keep saying about how I typically try to adhere to three things in my life. The first two come from Matthew 22:36-40 and the other is from Matthew 7:12. I’m not always perfect on either of these, but I try every day. And I think that when we start going into judgment mode and pointing out the flaws in others, we become a little too much like the Pharisees. It’s not up to me to decide anything about the sins of the people I meet or read about. It IS up to me to treat them the way I would hope that they treat me in return. The saying I use in class whenever my students try to blame someone else with something, is whenever you point a finger at someone in blame, just realize that there are three pointing back at you. Imagine a country or world where we just accepted people for who they are, and show them the love of God. Where we didn’t say things like “those liberals” or “those conservatives.” Where we didn’t judge people for stance on any of the current hot topics. All of that should be left for God to sort out. We as Christians have got to be better. It just might be that if we practiced acceptance more often, we might lead by example what it means to live in Christian love. And then, just maybe, more people would repent and turn to God. And there will be much rejoicing in heaven for each of those people who repent. Todays reading in Matthew is in response to Peter’s question of, “ how often should I forgive my brother?” Jesus response is,” not just 7, but 70 times 7.” For this reason the kingdom of heaven may be compared to a king who wished to settle accounts with his slaves.” In short, one of his slaves owed the king fifteen years of wages. When the slave begged for more time the king was moved with compassion, and forgave his debt. Now this slave, just forgiven, finds a fellow slave that owes him 15 days wages, starts demanding he be paid, and when the second slave begs for more time, the first one refuses his request and has him thrown into debtors prison, until all was to be paid back. When the king hears of this he is moved with anger, and finds the first slave and has him handed over to the torturers until all is paid back. The picture we see here is that an unbelievable amount of money is owed by the first slave, and not just the money when forgiveness is figured in, but also devotion to the king, and aspects of love, along with the view of mercy shown. All in all, much more than just finances are in view, issues of the heart and soul of the man are at stake. How shocking it is when this forgiven man responds so callously, and irreverently, as to demand what is due him that is in fact only .022% of the debt he was just forgiven. In another story in the gospels about the woman of Nain, Luke 7. 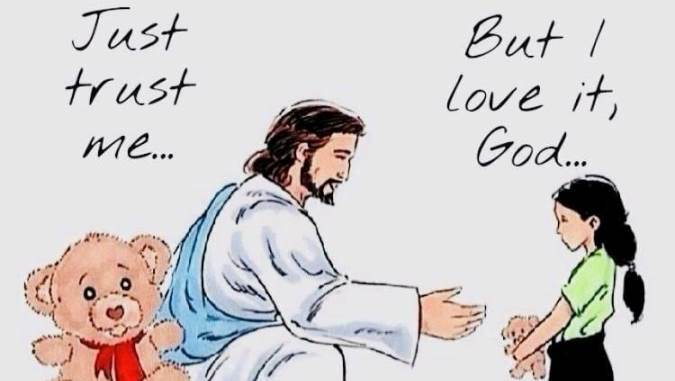 36-50, who washed the feet of Jesus with her tears and hair, Jesus responds with the truth, that to whom much is forgiven, much love will flow. In this parable that is the polar opposite of the first slaves response. We are seldom told the response to Jesus parables by those who were in His hearing, but the challenge still remains to we who are hearing now. How do you respond to the forgiveness shown to you by our Savior? In each of these parables there are multiple layers to respond to, concerning faith, love and discipleship. Review: Do not despise anyone for God has assigned angels to oversee them. The Son of Man has come to save that which was lost. An analogy is made of the shepherd leaving his heard to find a single lost sheep is to illustrate God’s determination and happiness in finding those of His who are lost. Analysis: It’s interesting to think on the possibility of an angel being assigned to each one of us; some would say a guardian. These “messengers” appear from time-to-time (Gen. 22:11-16, 31:11-13, Judges 6:12-16), sometimes in human form (Luke 1:26-33, Acts 12:7-8) up to the present hour is what i’ve heard. The commentary on the rejoicing the LORD feels in the retrieval of one who is lost being brought back into the fold is work a peek. Certainly implied are the ideals of the elect or chosen either as a group (Isa. 45:1-4, Eph. 1:1-6) or an individual (1 Peter 1:1-2). One surmises that if God has chosen someone or a group of someones, that eventually he or she or they would come to Him eventually. Jesus is more popular than ever at this time in his ministry. Large crowds were following him and the disciples, hanging on his every word as he taught. They were astonished at his teaching and wowed by the healings he did. A prominent Pharisee invited him to a Sabbath banquet at his home and yet there were Pharisees who condemned his ministry. King Herod was jealous and expressed a desire to kill Jesus. There were some Pharisees who were supportive of Jesus and they let him know of Herod’s desires. But large crowds were gathering. Undoubtedly there were those who wanted to swell the number of disciples and follow Jesus. In the midst of the large crowds Jesus says, “And whoever does not carry their cross and follow me cannot be my disciple.” He also indicated that following him takes priority over family. 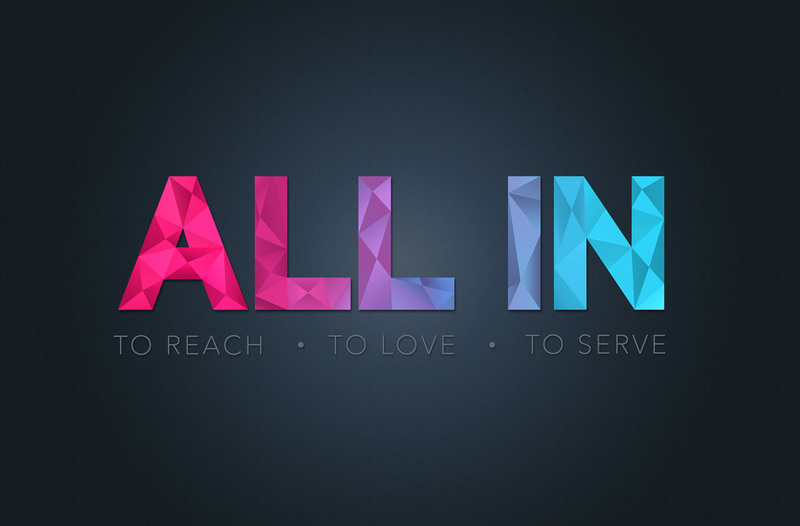 Today, let’s ponder and ask ourselves if we are “All In” as we follow the Lord Jesus. Let’s pray, Lord Jesus, help me to place my life in your hands, Amen. I talk to my kids in the youth group fairly often about worldly treasure vs. heavenly treasure. The concept is pretty hard to grasp at that age when things seem so important. Let’s be real, it’s hard to grasp at any age! One time specifically we were talking about when Jesus called to Simon (who is called Peter) and his brother Andrew to drop their nets and follow him (Matthew 4:18-20). I asked the kids if they could imagine doing such a thing and all of them said absolutely not. I get that, it’s hard. I don’t really want to give up my stuff either; especially things I have bought with hard work (like my bed and my car). Anyway, it’s hard to break that thought process. We find a lot of security in finances–I know I do. Yet, if we are willing to trust God enough He has something so much greater planned! Look at Matthew 6:25-34 for more clarification on that. I’m not selling you the prosperous Gospel that says believing in Jesus will get you rich, because I don’t know what God’s plan is for you. I am telling you that you will be abundant in the way God wants you to be abundant in. This abundance can come in many forms: love, nourishment, joy, friendship, family, money, food, generosity, hope, etc. So this morning I would like you to reflect on this verse and ask yourself: am I willing to sell my everything in order to get the treasures of the kingdom? The kingdom of God is a major theme in the preaching life of Christ. And just like in Jesus’s time, this parable speaks lively to today’s problems in the world. Too many times as Christians we get caught up in trying to solve the future. In many ways, we get caught up in the ongoing issues we see around us, and soon we will find ourselves putting people in different containers, we make judgments and draw a conclusion on who is deserving or not, of who is a true Christian and who is not. Somehow, I feel, we miss the central message of Jesus: Be concerned about the kingdom, about the fishing, throw the net into the waters, preach the Gospel and let God sort the fish in the end. Today, I pray that each one of us can have the strength and the vision to focus on the kingdom message, of sharing the good news, of reaching out to those in need, and not worry about who is going to be in heaven or in hell. Pearls…of high value and highly valued wouldn’t you say? This parable addresses the idea of sacrifice or necessary sacrifice to obtain something of great value. In order to obtain the best, the one searching had to abandon the second best. What are you willing to sacrifice to obtain the best? For some that may be material possessions or it could be comfort – there are others. In this parable, I see the adventure of Christianity. Giving up everything for something of great value has some obvious risk involved. Do you remember what Jesus said to his followers? Like me? Think about me? 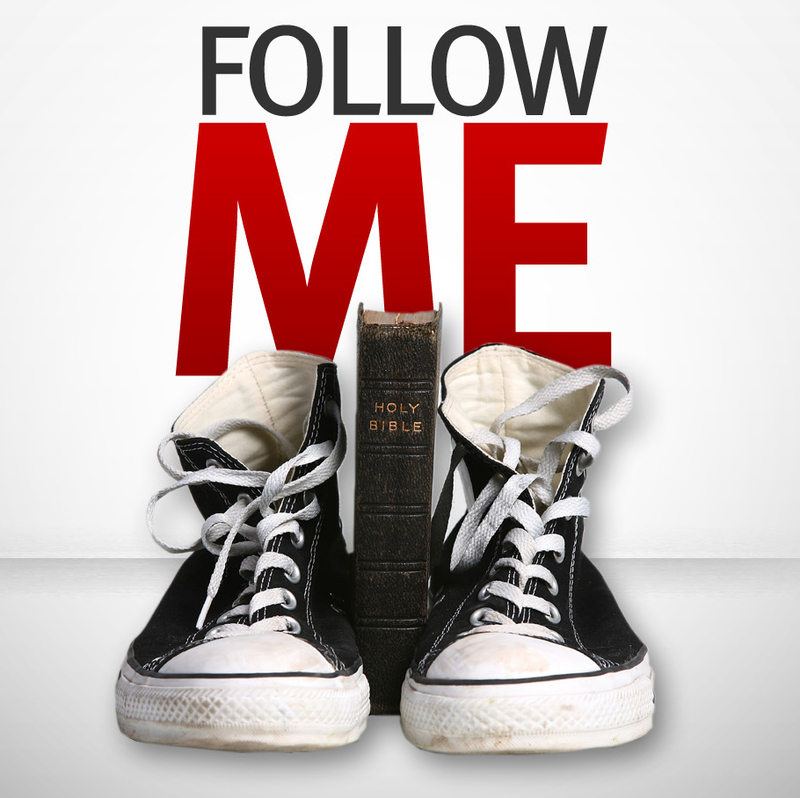 No, Jesus said “Follow me.” There was great danger when you consider the Scribes, Pharisees and rulers who were out to eliminate Jesus. This parable challenges us to understand the risk of following Jesus…and then, doing just that. Unfortunately, I see, far too often, individuals and even churches, watering down the journey of Christianity in order to encourage acceptance. There is nothing biblical about saying to someone that once you believe in Jesus you can sit back and take it easy waiting for your ticket to heaven to be punched. Devotional Thought: If you really believe that Christianity is a highly valued pearl, what are you willing to sacrifice to obtain it and, most importantly, follow. Following the one whom we are to claim as King, Jesus…it is not easy but it is certainly a different way of approaching this life on earth. Instead of looking backwards, following Jesus offers the challenge and adventure of looking at life in terms of what is yet to be discovered.